We recently attended the Editor Showcase in New York City to introduce new Shiloh Farms products to top food and lifestyle editors focused on health and wellness. We had a blast showing the media why Shiloh Farms is a cut above the rest when it comes to quality, wholesome and healthy foods – and we gave them samples of some of our gluten-free products to take home and enjoy! Well, the sample – a gluten-free trail mix – was such a success that we decided to share the recipe with you so you can try it at home! The wonderful, and talented, Silvana Nardone created the trail mix recipe just for us. Silvana is the author of Cooking For Isaiah: Gluten-Free & Dairy-Free Recipes for Easy, Delicious Meals. She is also the owner and editor of Easy Eats, a digital gluten-free magazine, and the founder of SilvanasKitchen.com, a gluten-free cooking and baking blog. Give Silvana’s trail mix recipe a try and let us know what you think! In a large bowl or storage container, stir together the ingredients. Store, covered, in a cool, dry place for up to 1 month. 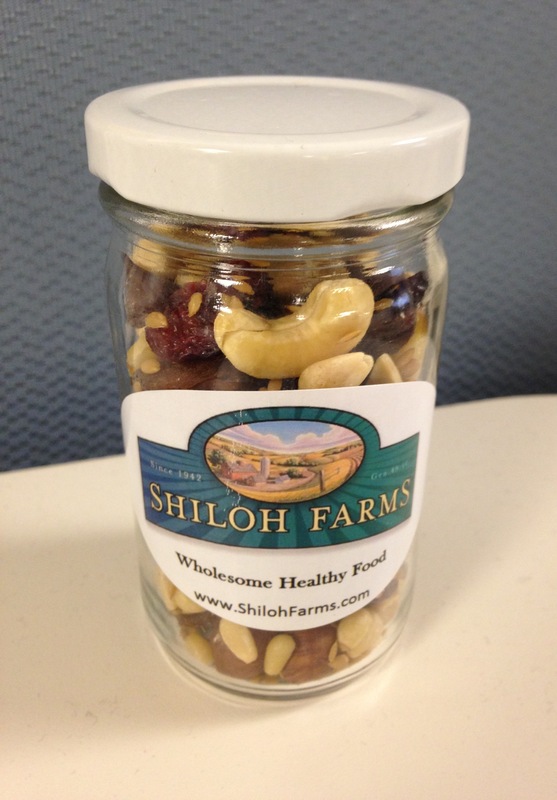 ← Find Shiloh Farms Products Near You!